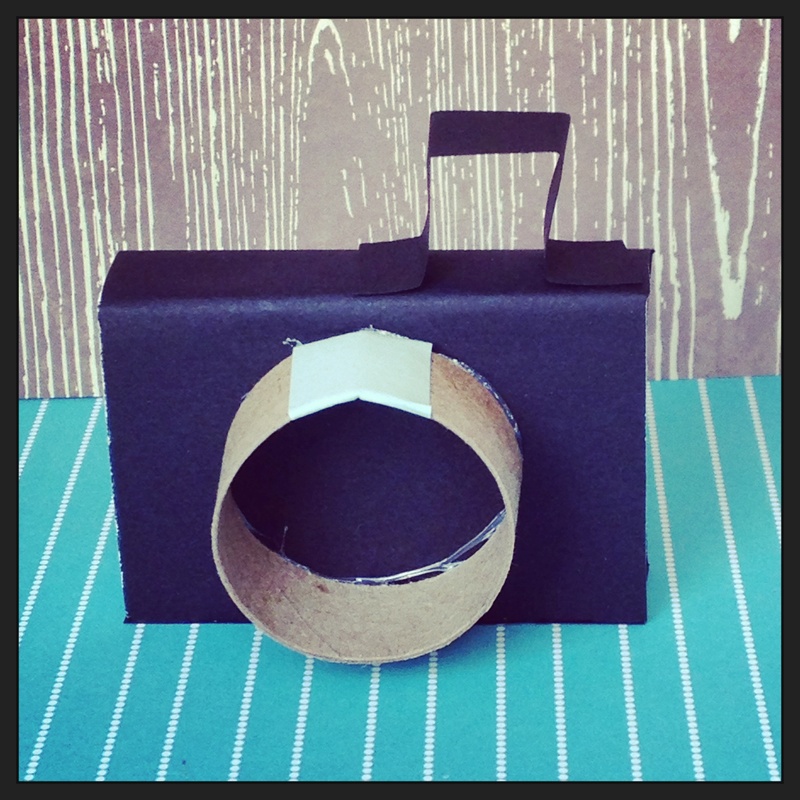 This matchbox project was inspired by “cameras” my brother and I used to make when we were kids out of band-aid boxes (back when they were tin, which really wasn’t that long ago, was it?). We taped on a lens and a viewfinder and snapped imaginary pictures. To make this wee version, I covered a matchbox with black paper, except the ends, which I covered in light blue washi tape. Then I folded a strip of paper to make a viewfinder, and sliced off a circle of cardboard from a toilet paper roll to create the lens. 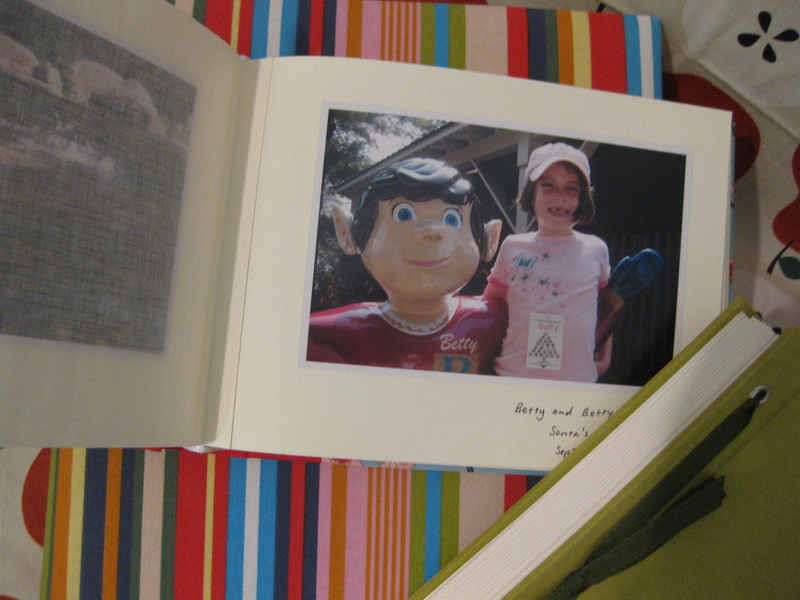 Inside is the treat: an accordian album of tiny photos. I went old-school for this part—good old cut and paste. 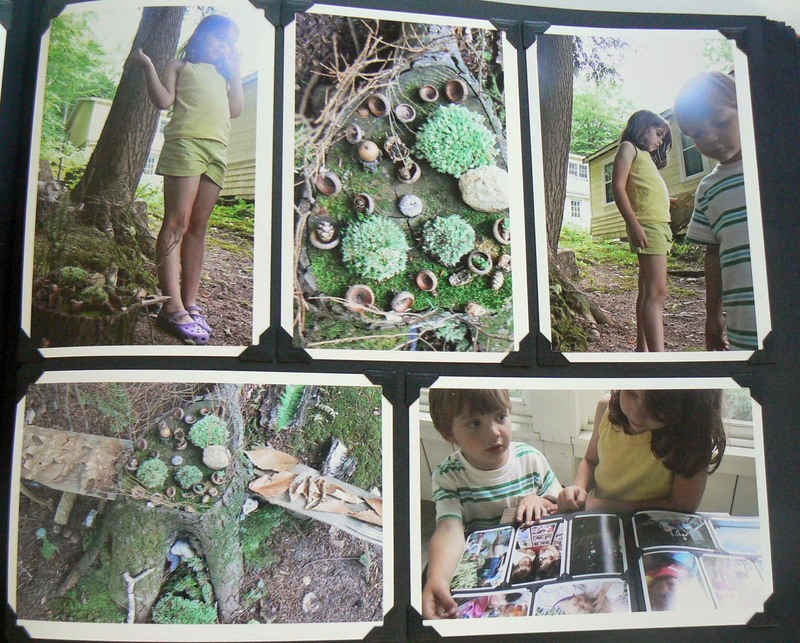 I printed the photos on regular printer paper (albeit high quality printer paper) and glued the photos in place. More summer fun projects–Instagram antics! 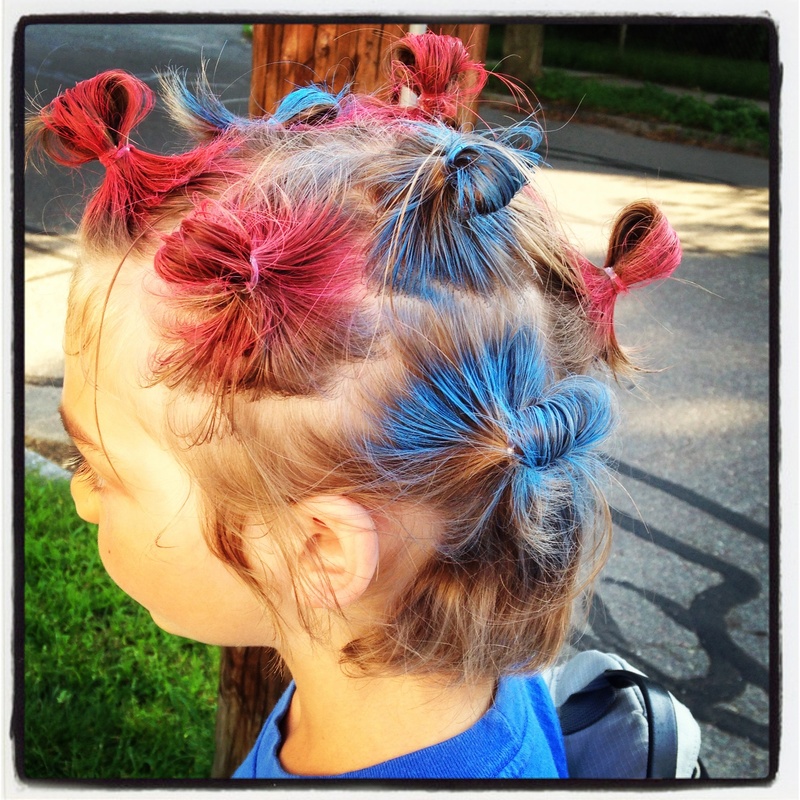 I’m trawling through the (seemingly endless) camera roll on my Iphone and modifying my favorites on Instagram (see above: first grade Crazy Hair Day). What I like about Instagram: turning all images into squares and filtering them circa 1976–and yes, one of the filters is called 1976. 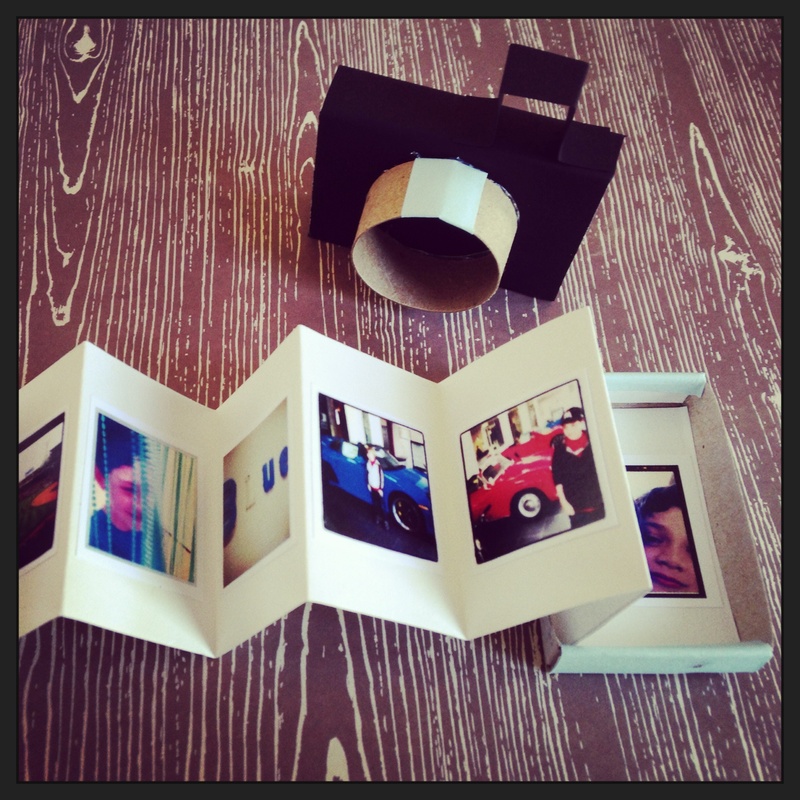 Once I get to 72 images, I plan to make a set of these wee photo albums from Printstagram (you get 3 tiny books for $10). I also love this photo book by Elizabeth Kartchner at Dear Lizzy. She used Blurb to create her paperback album and had the savvy idea to keep some pages blank to write in captions and anecdotes by hand. 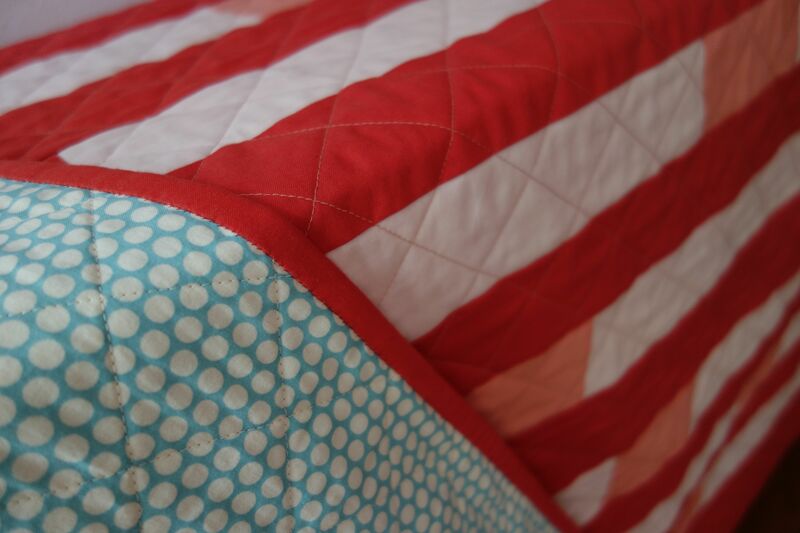 I don’t want to confess how many hours I’ve spent trying to take some decent photos of my new quilt. It seems improbably difficult. 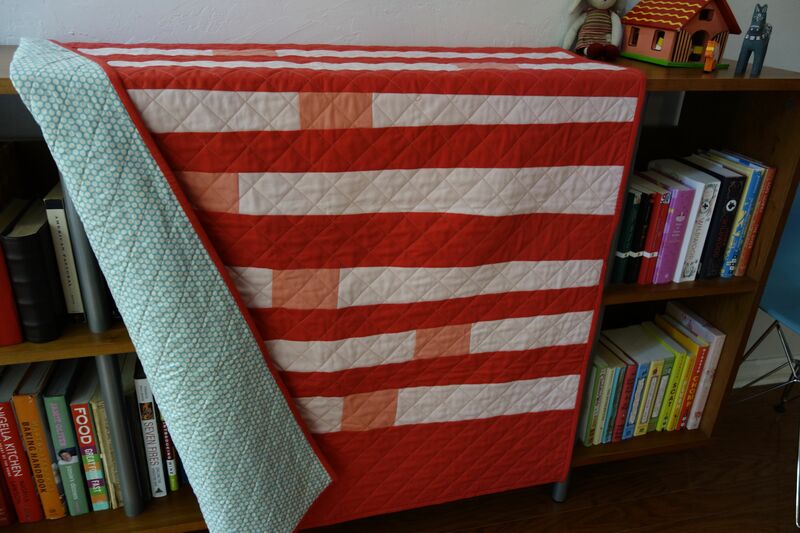 The colors in this quilt are so pretty in person–not really a bright tomato red but a more subtle coral. I know most people take pictures of their quilts outdoors (hooray for natural light! ), but I was so taken with the photography in Denyse Schmidt’s new book Modern Quilts, Traditional Inspiration that I wanted to try some interior photos. 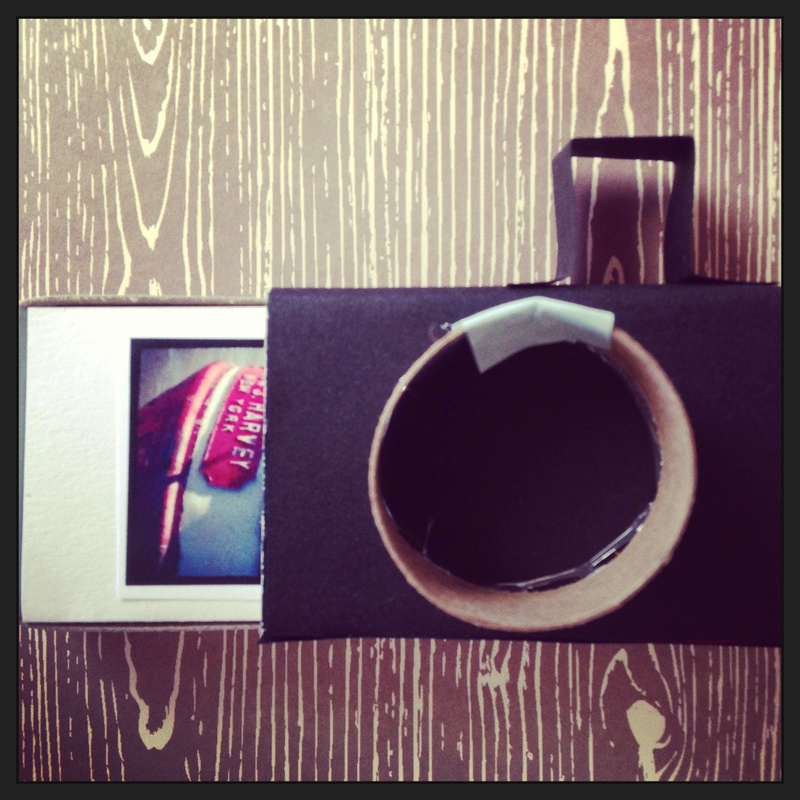 I just opened my Etsy shop (Brigit Gail), which except for the photography, is incredibly easy. Etsy recommends five photos per listing–compounding my difficulties. Here is the essential close-up…. I think these photos turned out pretty well, but I have a bright pink quilt that is harder to capture than a unicorn. I’m off to try hanging it on a wall to see if I have any better results. What do you do with your photos? I can’t seem to be satisfied with letting them linger in the ethereal digital realm. I have accumulated a lot of albums! I am a sucker for arranging images–but is there a better way to go about archiving my life? Also, I’m perpetually lagging two years behind . . . I really like this flip book of bicycles from Wren Homemade made with Iphoto and printed by Apple. 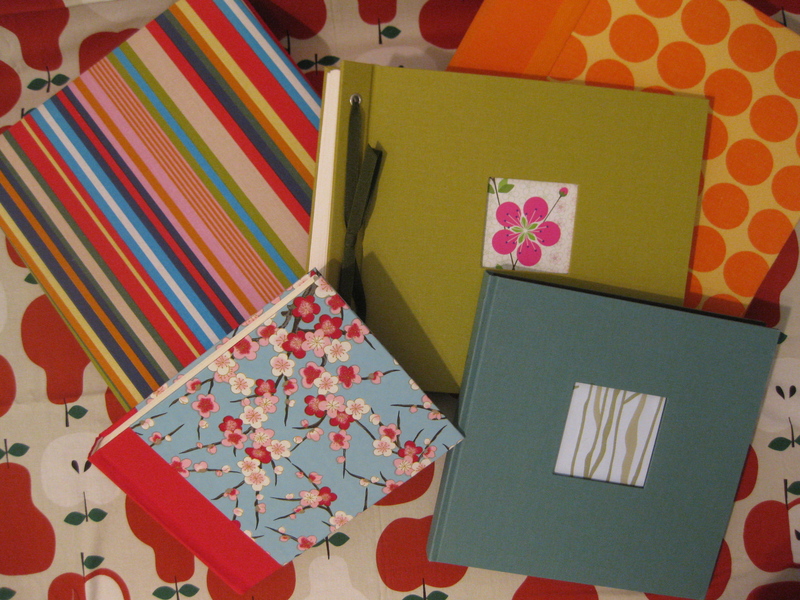 Making albums with Snapfish, Shutterfly, Kodak, etc. is fun, too, but I don’t love the print quality in the final product. I’d be interested to hear your recommendations–please share!